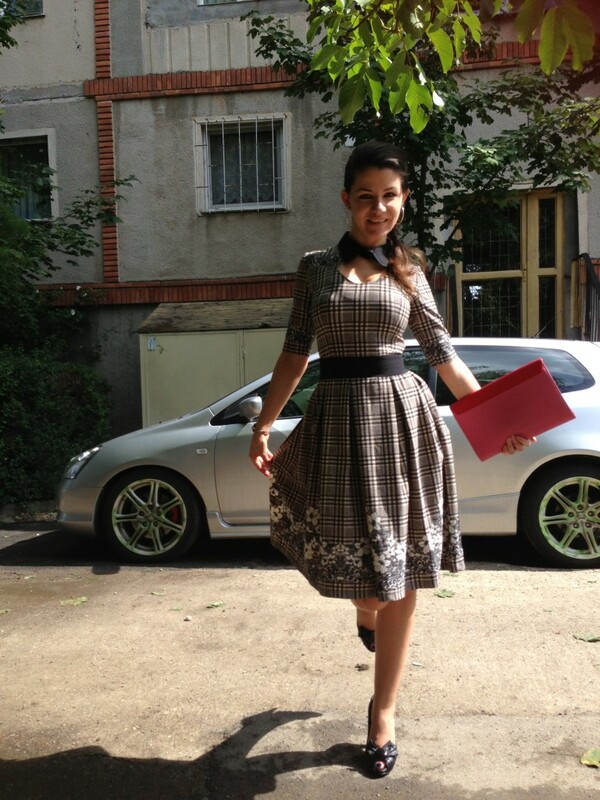 Because I miss my car, today I’ll show you one of my favorite vintage-look dresses. Instead of words, I’ll let the pictures speak for themselves . I like a lot this dress. Luckily, my car was there, otherwise I would have felt like in the ’60s wearing this dress. Because the dress color is so gentle, I chose to mix it with a red and pink purse. Do you like vintage dresses?